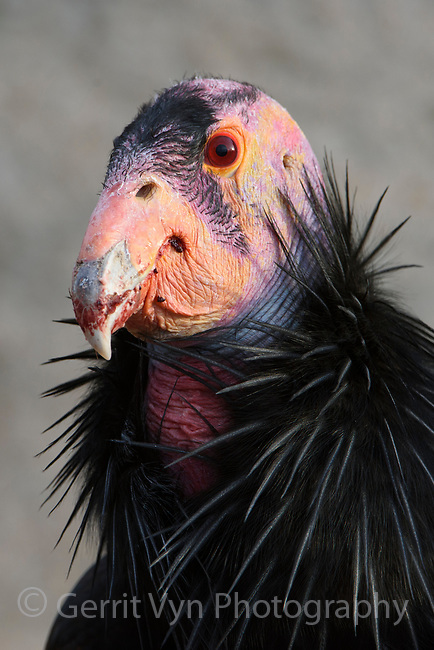 Mature male California Condor (Gymnogyps californianus) used for the captive breeding program to restore this critically endangered species. Idaho. February.